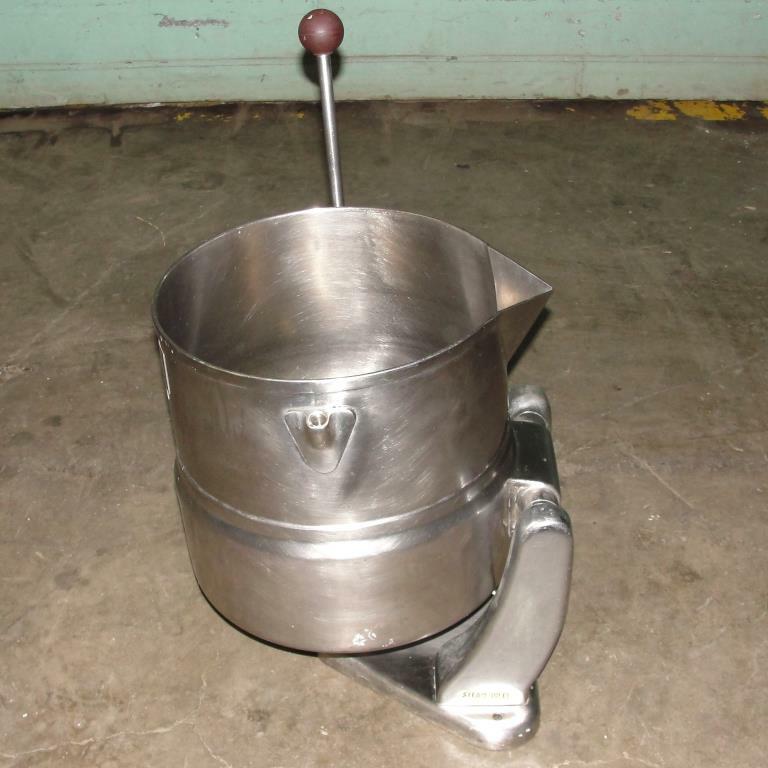 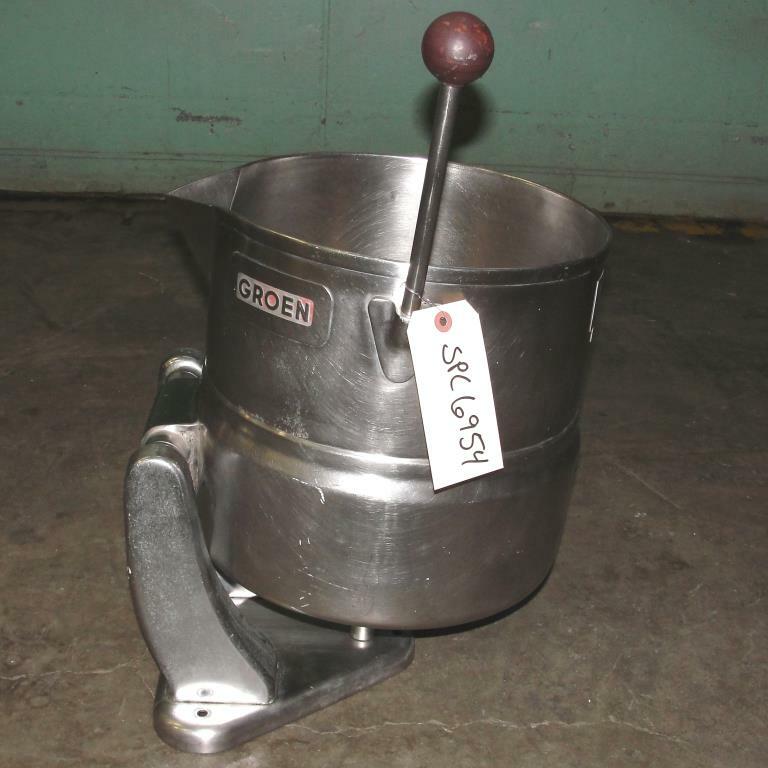 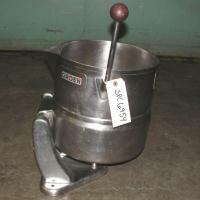 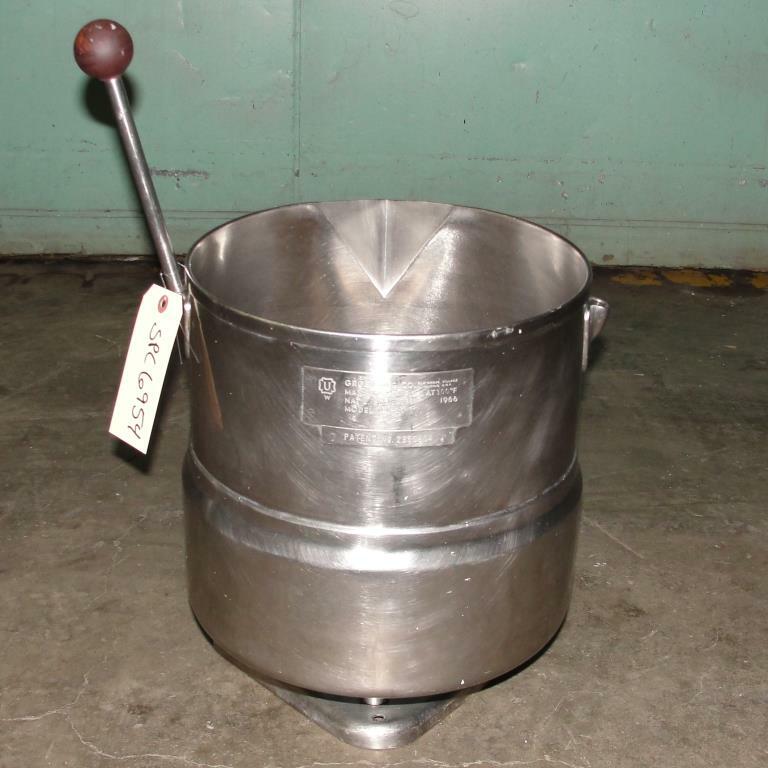 Groen 20 quart 304 stainless steel table top direct steam jacketed kettle. 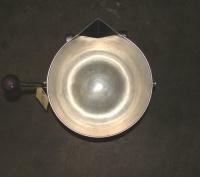 Model TDC-20 OT. 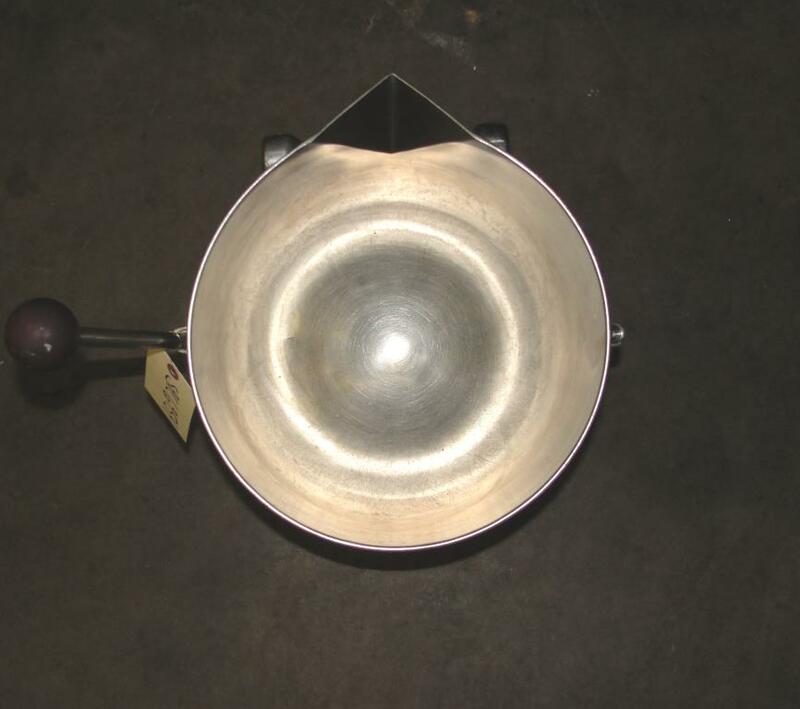 Kettle tilts with spout and has 3/8" steam inlet and outlet in the tilting pedestals. 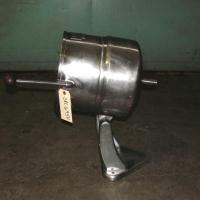 The half jacket is rated at 45 psi @ 300° F. National Board # 32396. 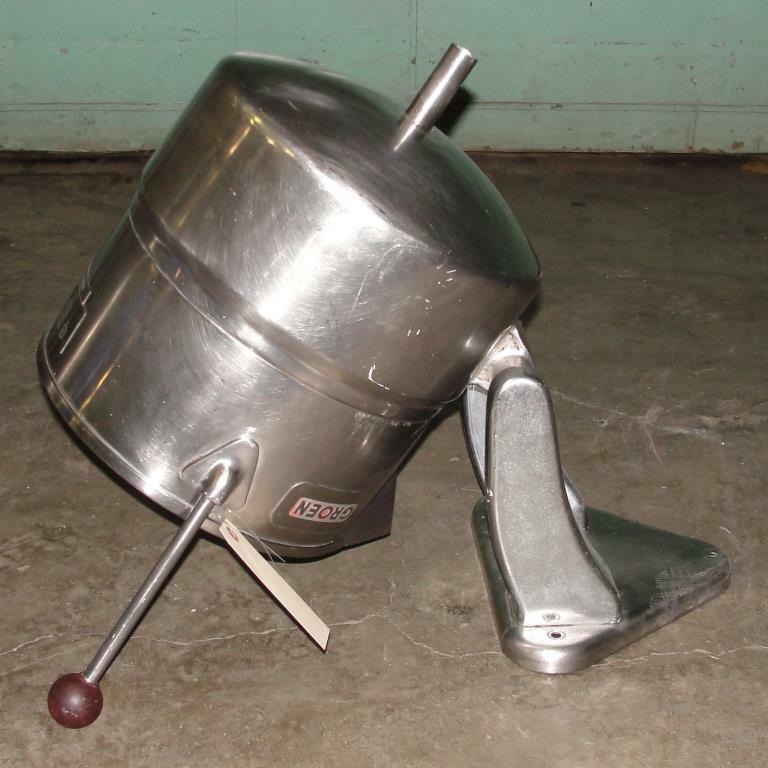 Requires steam supply. New 20 quart unit from Groen is $2901.